FLEXIBLE RENTAL AVAILABLE DECEMBER 2018 AND SEASON 2019. 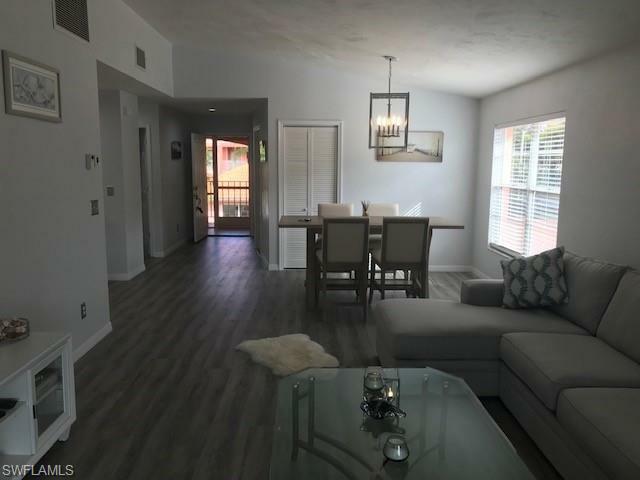 Easy walk or bike to Wiggins Pass Beach and Gulf Shore Drive from this bright & light 3 bedroom 2 bath 2nd floor end unit condo with 2 lanais. THE UNIT HAS JUST BEEN REMODELED. YOU CAN BE THE FIRST TO ENJOY THIS WINTER RETREAT. Cool off in the community pool just steps away or relax on one of the two lanais enjoying the gorgeous sunrises & sunsets. This unit is turnkey furnished with BRAND NEW designer furnishings. Make your reservation today before its gone! Call the listing agents for availability.